Last month, I was in Europe trotting on the Côte d’Azur, soaking the fizzy air, the weather was not too hot, pleasantly ventilated and the crowd of tourists was limited. My goal was not to spend time at the beach, I have done that, only walking on cobblestones of small villages, talking to people, discovering things, curiosities and food. In a hole in the wall, as a figure of speech, I found a small artisanal shop of sustainable fashion products. Everything in there was hand-made or ecologically made, natural dyes, natural fibers and no animal products, such as leather or furs. These items in various shades of orange attracted my attention. I happened to have an orange pair of mirrored glasses on me, the rest was easy. 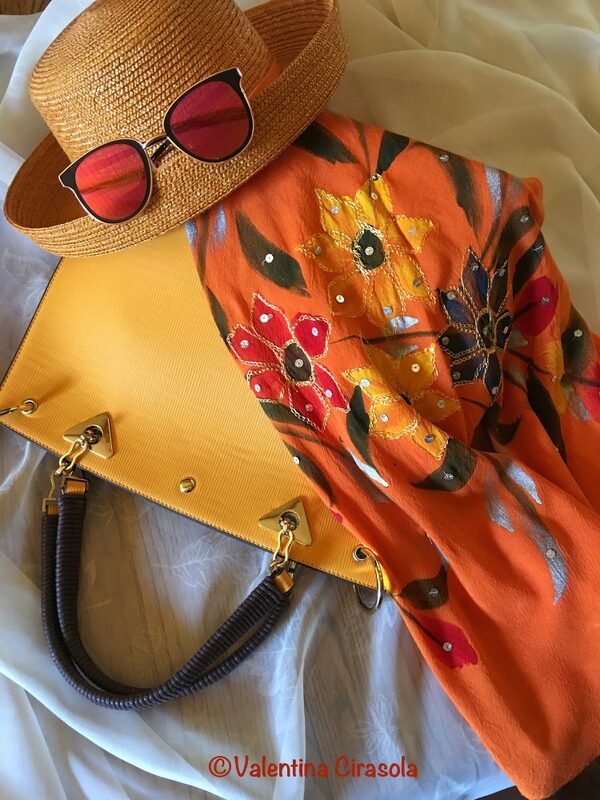 Hand embroidered and hand painted tunic, with a salmon orange hat and a papaya bag. It looks so fantastic when I wear it all together. This barrel, multicolored bag really got my attention. I was asking myself what is it? Is it a bucket, a tube, or a beach thing? Well… I got it because it is hard to tell and I wanted to puzzle people. Often, it doesn’t take much money to build a nice wardrobe. It’s important to understand the function of each piece, if shapes and colors look good with your complexion and if the new items can be paired with everything already existing in the closet. Elegant people, stores and yachts fill the Rivera. 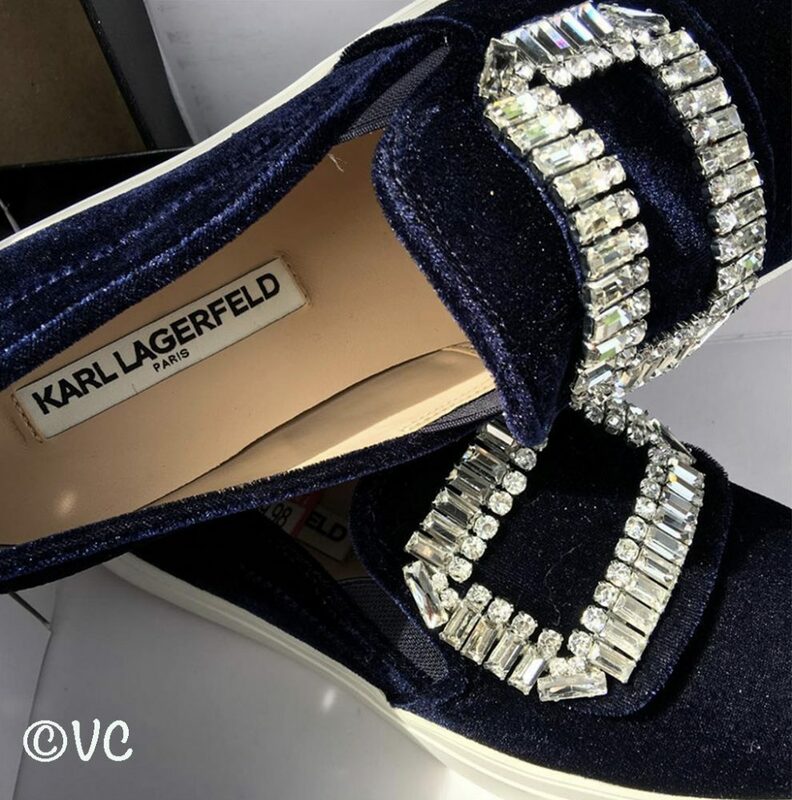 I could have come away with a handsome yacht owner, instead I came away with a pair of blue velvet Karl Lagerfeld pantoufles, call them sneakers if you would, but not on the Riviera. Two huge rhinestone buckles look as if they could illuminate an entire city. In addition they were discounted 50%, a real snip, if it happens on the French Riviera! Never use the word “cheap”. Have you found anything special this Summer? 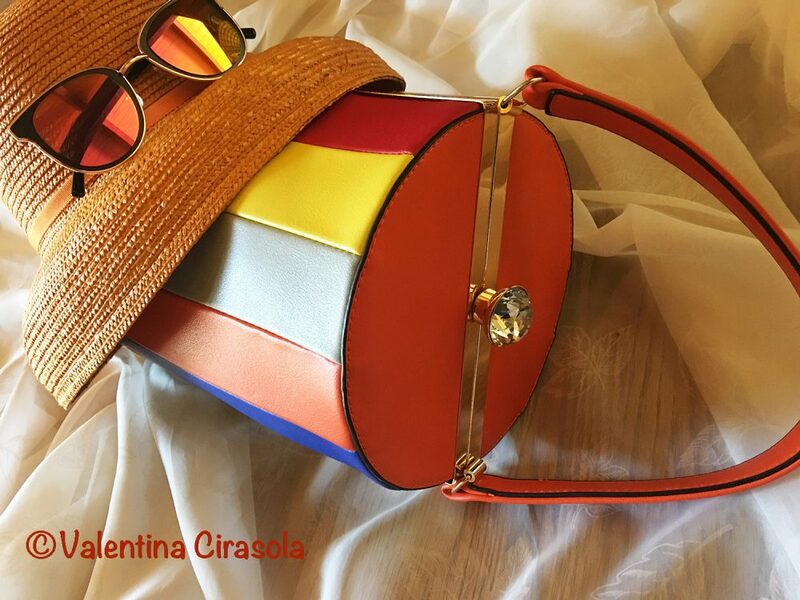 Valentina Cirasola is a trained Fashion and Interior Designer, born in Italy in a family of artists. Style surrounded her since the beginning of her life. 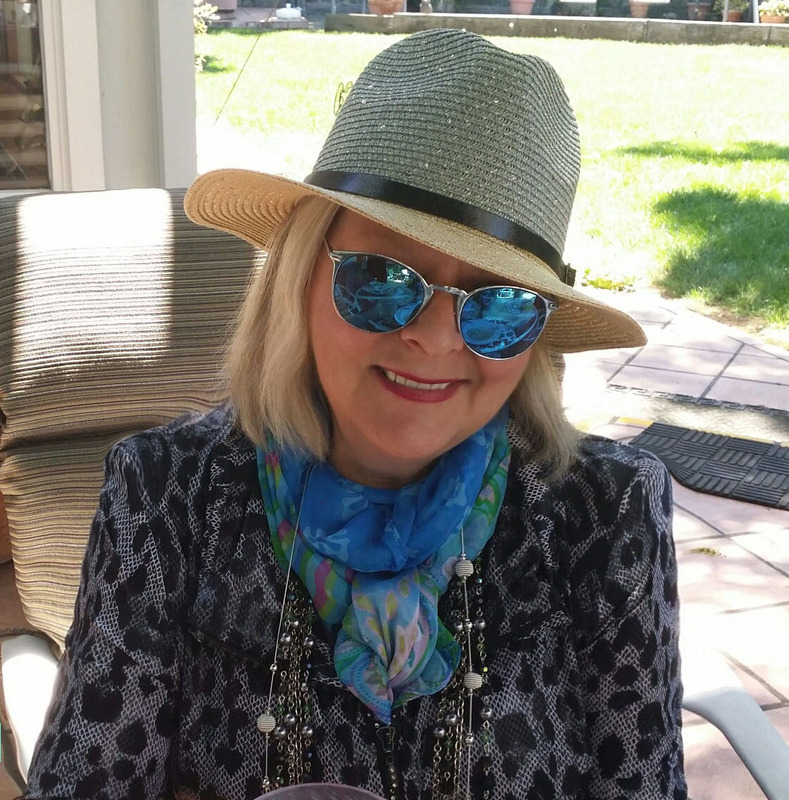 Her many years of experience led her to offer consultations in both specializations and now she can remodel homes as well as personal images. She is passionate about colors and encourages her clients to express their individual style in their homes and with the clothes they wear. To better help people all over the world she offers consultations online. She is the author of three books.